Ralph Northam is a racist. We know this because of pictures floating around the internet. Suddenly, there are calls for his resignation. But I think the calls should be ignored. Of course Ralph Northam is a racist. He was raised in America. Everyone raised in America is raised to be a racist. The question isn’t are you a racist? The question is what have you done to confront the racism you were raised with so you can shed the lie? Ralph Northam WAS a racist, unlike Mitch McConnell who IS a racist. 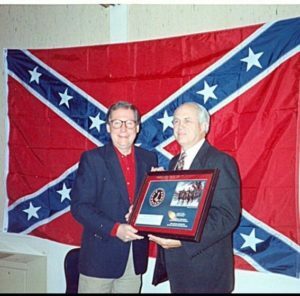 Mitch McConnell is an active, thoughtless, deranged racist. He’s a Birther. He disrespected our first black president every single day for 8 straight years. He broke the law when he violated the constitution’s advice and consent clause, denying an up or down vote to Merrick Garland. He’s a criminal and a racist. Where are the calls for Mitch McConnell to resign? Democrats need to stop getting caught-up in 31 flavors of outrage. It’s the new national pastime. We’re all hunting around for the next thing to be furious about. Apple pie used to be American. Now it’s anger. No one gets every decision right. The trick is to take the lesson from your failures while at the same time not letting the wins go to your head. There are no perfect people, ask Ted Cruz. He’s racist, homophobic and has been sued by the word “smarmy” for defamation by comparison. Where are the calls for Ted Cruz to resign? In all honesty, I don’t even know how I know the name of Ralph Northam. 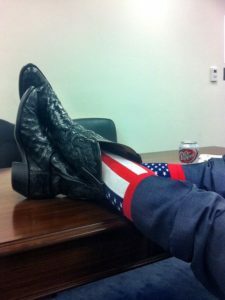 In all honesty, why do I care about the governor of Virginia? Why does my college roommate who lives in Florida care about the governor of Virginia? He called me today to talk about Northam. Honestly! Why?! He’s the piñata we’re supposed to take a swing at since it’s easier to bash him into smithereens than face the truth about ourselves. We’re racist. We were raised to be racist by the people we love. Our mommys and daddys. Our grandmommys and granddaddys. They were thoughtless, cowardly, racist people who didn’t bother to do the hard work of thinking through the things they were passing along to us through telling mean, stupid jokes and choosing to live in cruel, segregated communities. And don’t get me started on golf. 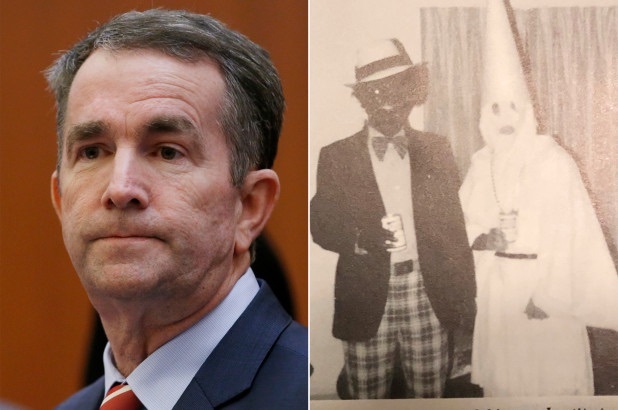 Ralph Northam WAS a racist. 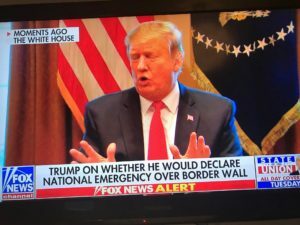 Donald Trump IS a racist. Where are the calls for Donald Trump to resign? There are no calls for him to resign because he ran on a platform of racism. He ran as the Birther-In-Chief. You can’t fix it until you own it, which is the main problem with broken people: they don’t know they’re broken so they don’t think they have any work to do on fixing themselves. They simply go around punishing the world with their behavior instead of stepping back long enough to take in all of the pain they’re causing, the needless pain. 2 paychecks and 1 sickness away from totally fucked, as American as apple pie. What’s wrong with these liberal women Rachael Dozel and Warren. One thinks she’s black and one thinks she’s an Indian.